Conjunctions with Neptune the planet of the unconscious, subtle, divine, unknown and ruler pf Pisces the sign of imagination can be particularly intense in artist`s expression. Especially if the conjunction includes Jupiter the planet of personal happiness and euphoria. An outstanding example is the sitar genius Ravi Shankar born on 7 April 1920 in Varanasi, India with the Sun in Aries. 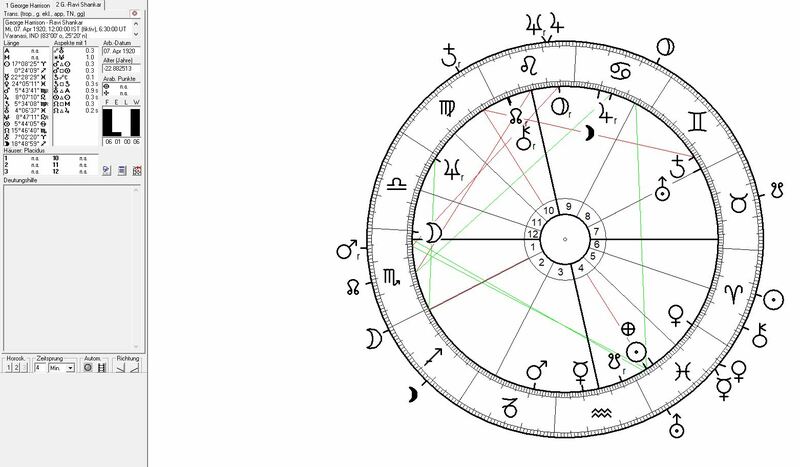 The most fascinating astrological factor in regard to Ravi Shankar`s musical expression is the Neptune-Jupiter conjunction at 8°Leo. This aspects welds together Neptune the planet of spirituality, subtlety, meditation, reconnection and the ruling planet of the sign of music (Pisces) with Jupiter the planet of luck, euphoria, healing, understanding and ruler of the sign of style, design and composition (Sagittarius) in Leo the sign of the sun, light and self-expression. With the help pf Leo the sign of the pure sunlight, the heart, energetical magnetism, power stations, self-centering and the allowance of individual self- expression Jupiter the biggest of all planets allows the fuller expansion of euphoria, understanding, individual perception, belief and mental awareness to shed its light on the realms of Neptune the planet of the higher self, eternal soul, spiritual reconnection, meditation and the outmost potential of the subtlety of divine music. Deep Purple guitar genius Ritchi Blackmore born with the Sun in Aries and a strong Jupiter-Neptune mirrorpoint constellation near midheaven. 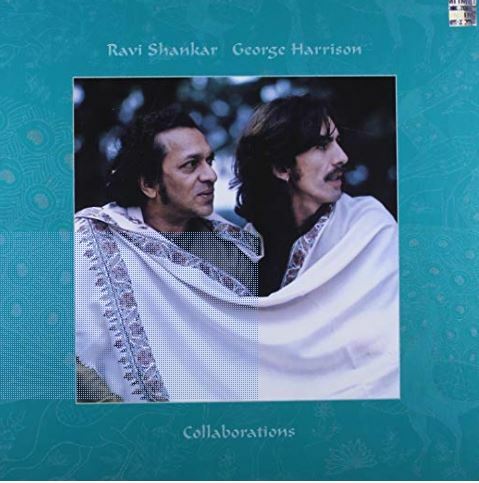 George Harrison friendship with Ravi Shankar was highly important for both as musicians and for personal reasons. George had already developed a deep relationship to indian religion and spirituality when he first met Ravi Shankar. The most basical (primitive) aspect between the two must have been Ravi Shankar`s Mars which was conjunct George´s ascendant. We can assume that this aspect must have produced a stimulation of George`s self-esteem supporting processes that helped him define his own personality and standing among the Fab Four. In order to achieve some independence from Paul`s musical genius and John´s intellectual approach and song writing.originality. Ravi Shankar was a counterweight to the two and one that could really compete. Thus Ravi saved George from getting lost in the thrills of success and his cocaine habit – which for the Sun in Pisces may have led him somewhat off the track. And here came the full magic of Ravi Shankar`s Jupiter-Neptune conjunction in Leo the sign of full light allowing Jupiter`s the planet of self-healing, understanding, luck and happpiness stimulation to unfold a fully positive outlook on Neptune the planet of spirituality and the higher self but also the insecurity about the value of individual personality. That magic of Ravi Shankar`s music brought to George and to all of us the perspective on the fuller potentials of the light of hindu mysticism. Plus the recapitulation of the indian spiritual traditions and of a music and sound of meditation (the actual purpose of classical indian music). 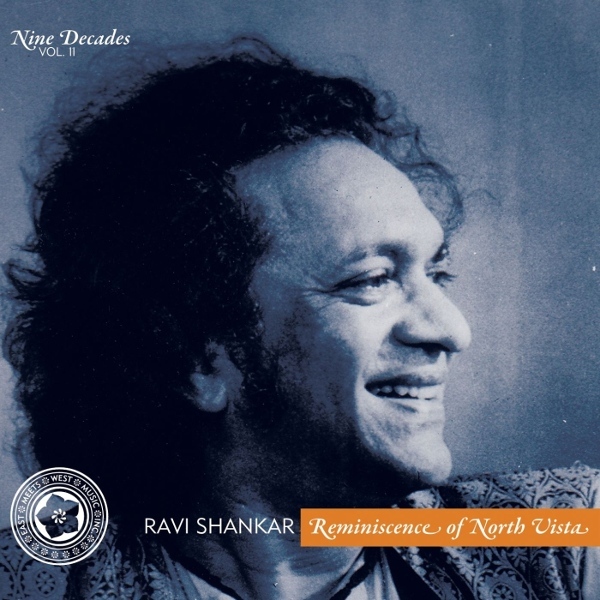 That constellation in Leo the sign of life and self-expression made classical indian music come alive through Ravi Shankar`s. 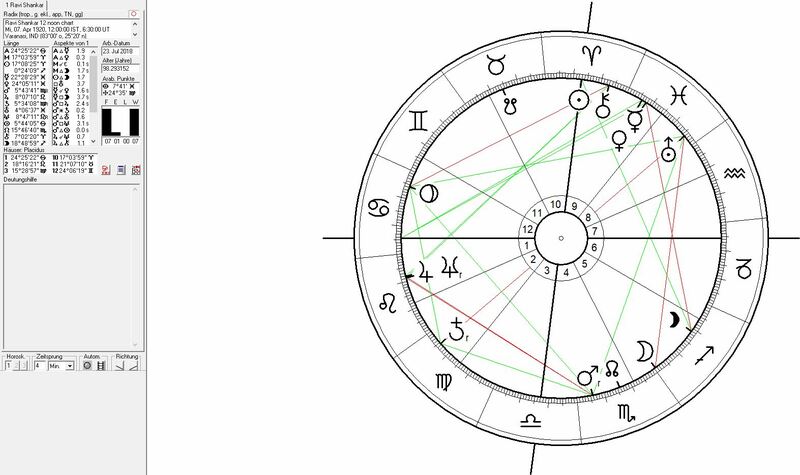 In George´s birth chart this Jupiter healing of Neptune fell near midheaven but in house 9 the house of mental inspiration, travelling and relaxed contacts. And we can assume that this contact helped George Harrison find the way through the drug experience and fixations through giving him the contact with a realistic spiritual practice. Even more so because Ravi Shankar´s Uranus conjunct George´s Sun position in Pisces allowed for George a fuller more abstract perspective on his own personality and background. 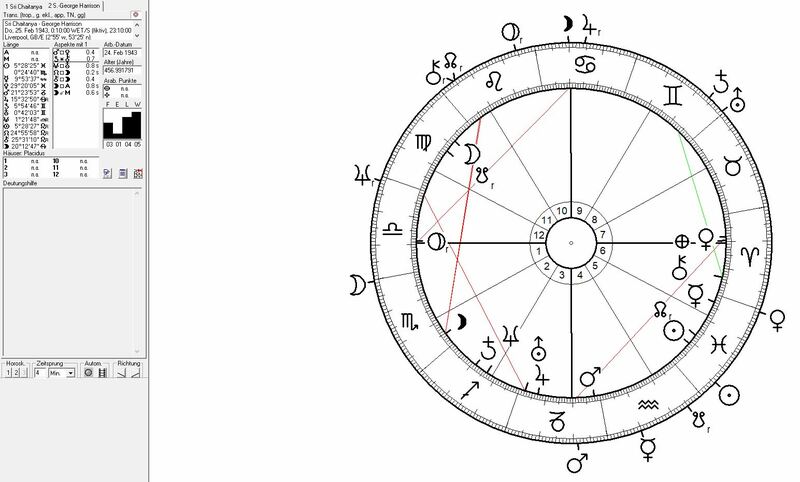 And not to forget the fact that Ravi`s Sun position in Aries was a 2nd whole sign house (2nd sign) position from George birth Sun in Pisces! An aspect which helped George feel he was in control of the relationship and not feel threatened by Ravi`s personality. To understand the important help and support George may have felt here through the emancipation and acceptance of his individual Neptune`s insecurity, personal chaos and mental disorientation one has to consider the “Club 27” of highly sensitive musicians that never got over that Neptune topic during their lifetimes. Among them two other Pisces Sun musicians: Brian Jones (28 Feb) and Kurt Cobain (20 Feb). Birth chart for Sri Chaitanya born 18. Feb 1486 (greg. date 27 Feb) at 20:56 (birth time according to B.V.Rao) with planetary poositions for George Harrison. But George Harrison`s relationship with Indian culture, religion and music had more facettes than the relationship with Ravi Shankar. George was deeply touched by the Hare Krishna chanting movement initiated by a wandering monk named Sir Chaitanya Mahaprabhu in the early 16th century. Sri Chaitanya laid the foundation for an ecstatical dancing and singing movement that spread from India to Europe since the mid-sixties. Like George Harrison Sri Chaintanya Mahaprabhu was born with the Sun in the first decade of Pisces the sign of music and of spirituality and with Mars in Capricorn the sign of history and a strong urge for success from righteousness, monk experience and the reliance on ancient traditions. George´s biggest solo hit was based on the intensity of this emotion: My Sweet Lord.